When he performed he spoke Spanish with a Chinese accent. His oriental robes were authentic. Many were purchased in Hollywood. and updated by Jim Steinmeyer. It was used in Fu-Manchu's Pit & Pendulum Illusion. His father was Okito (Theo Bamberg). 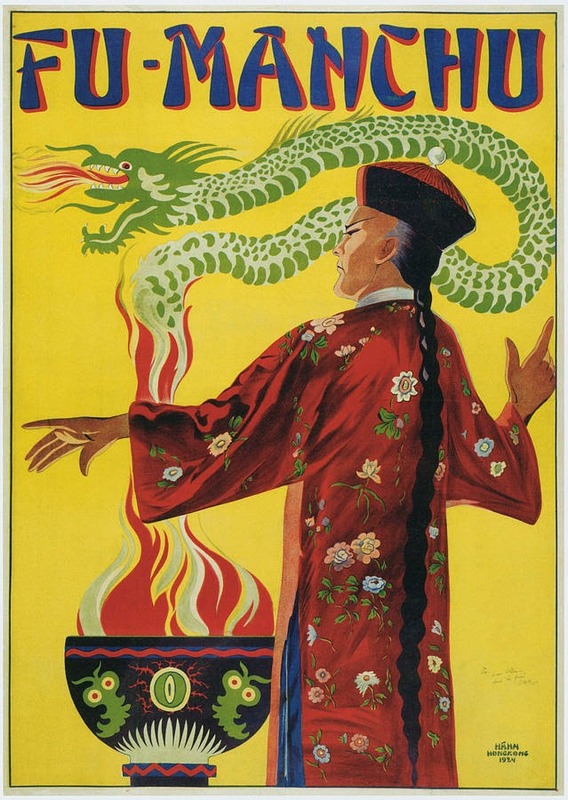 Fu-Manchu (David Bamberg) was the 6th and last generation of magicians known as The Bamberg Dynasty. 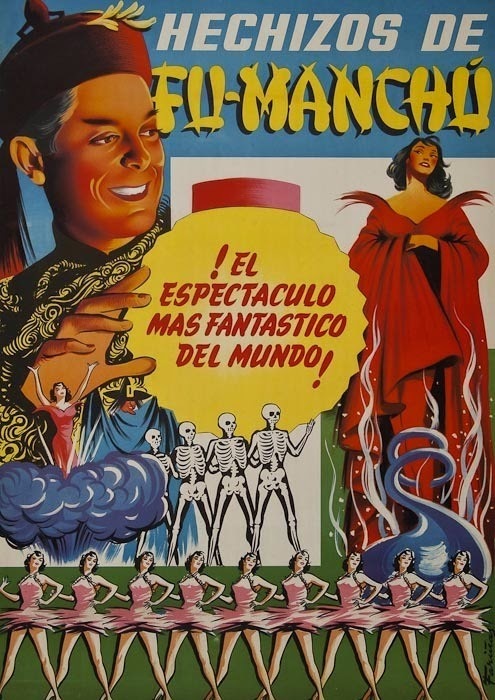 During his years in South America, he auditioned many women to be assistants in his show. One of the women who auditioned for him was Eva Peron, the First Lady of Argentina from 1946-1952. She would later be immortalized in the musical EVITA. The above poster is very unique and quite striking. There is another version of the poster which features an image of a woman's face and more text. 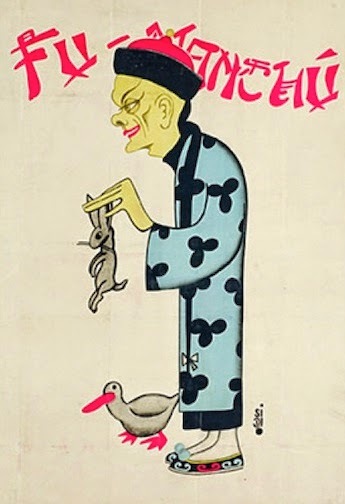 It can be viewed here, along with one of Fu-Manchu's Movie posters. ask for a raise, they always waited to ask Fu-Manchu rather than David Bamberg. and later in life he became less of a nervous wreck. David Bamberg took the name Fu-Manchu from the Sax Rohmer novels of the same name. 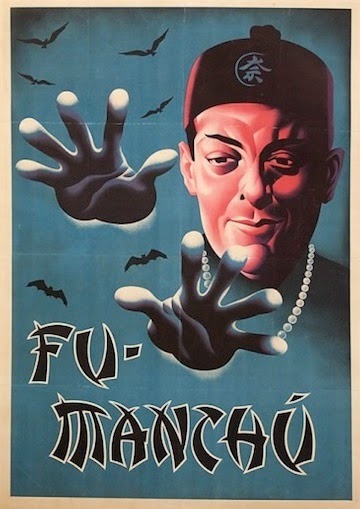 Because of this when he came to the United States, he was not able, due to copyright laws, to use the name Fu-Manchu. Instead he used FuChan. However, Bamberg was not the last to use the 'borrowed' name. A rock band now uses the name Fu-Manchu.